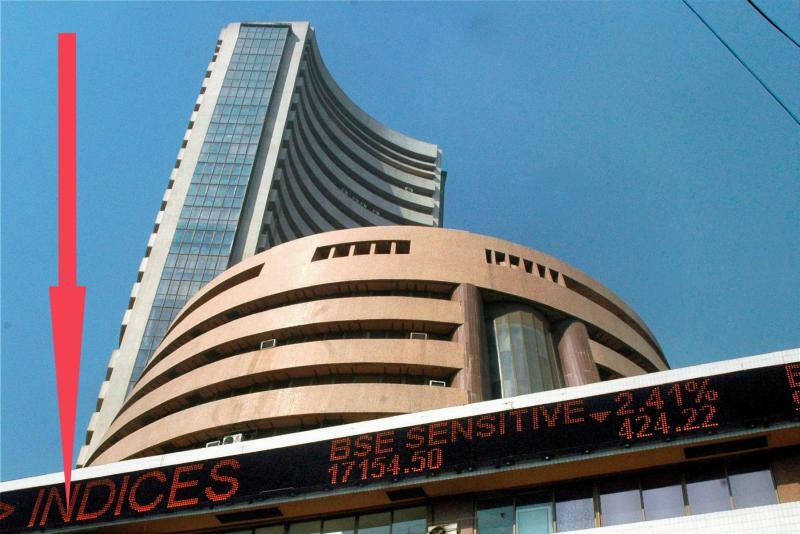 The BSE Sensex turned choppy after rising over 117 points in opening trade, amid weak Asian cues and foreign fund outflows. The broader Nifty, too, slipped below the 11,000-mark. The 30-share index fell 74.69 points, or 0.20 per cent, to 36,466.94 after touching a high of 36,558.71 in opening trade. Sectoral indices led by healthcare, realty, oil and gas, infrastructure, auto and banking were trading in the negative zone, falling up to 1.53 per cent. The NSE Nifty, after rising to 11,019.50, turned negative to quote 38.95 points, or 0.35 per cent, lower at 10,978.40. India's trade deficit widening to a more than three-and-a-half-year high of USD 16.6 billion due to costlier crude oil imports, weighed on investor sentiment, brokers said. Heavy selling activity was witnessed after investors began booking profits at current levels, they added. Shares of Infosys, however, topped the gainers list by rising about 2 per cent even as company's earnings fell below market expectations. Top laggards that dragged key indices were ICICI Bank, Tata Motors, Sun Pharma, Yes Bank, RIL, Hero MotoCorp, SBI, M&M, Tata Steel, Vedanta, Coal India, Adani Ports and Axis Bank. Meanwhile, foreign portfolio investors (FPIs) sold shares worth a net Rs 1,104.65 crore, while domestic institutional investors (DIIs) bought shares worth a net Rs 872 crore on Friday, provisional data showed. In Asian region, Hong Kong's Hang Seng was down 0.13 per cent, while Shanghai Composite fell 0.47 per cent in early trade. Financial markets in Japan are closed today for a public holiday. The US Dow Jones Industrial Average, however, ended 0.38 per cent higher in Friday's trade.